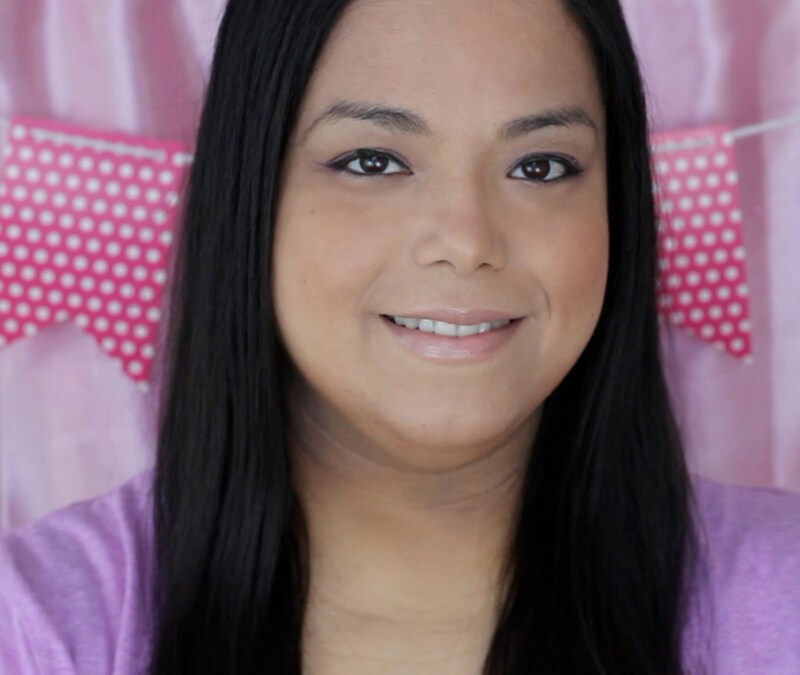 One of my favorite ways to exercise is to Zumba! It's so fun that you don't even feel like you are exercising and the music is pretty amazing. 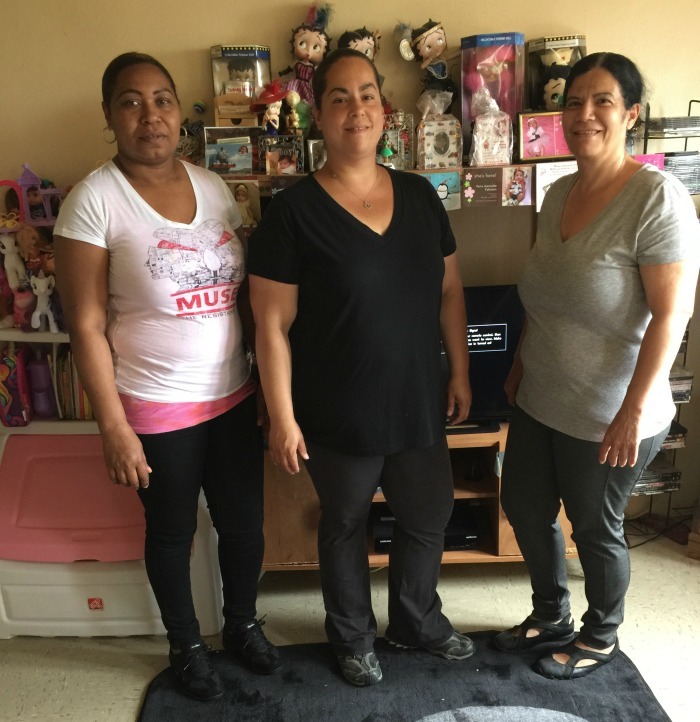 My sister and I have been Zumba-ing for a while now so we wanted to get our mom and my best friend involved with it too. 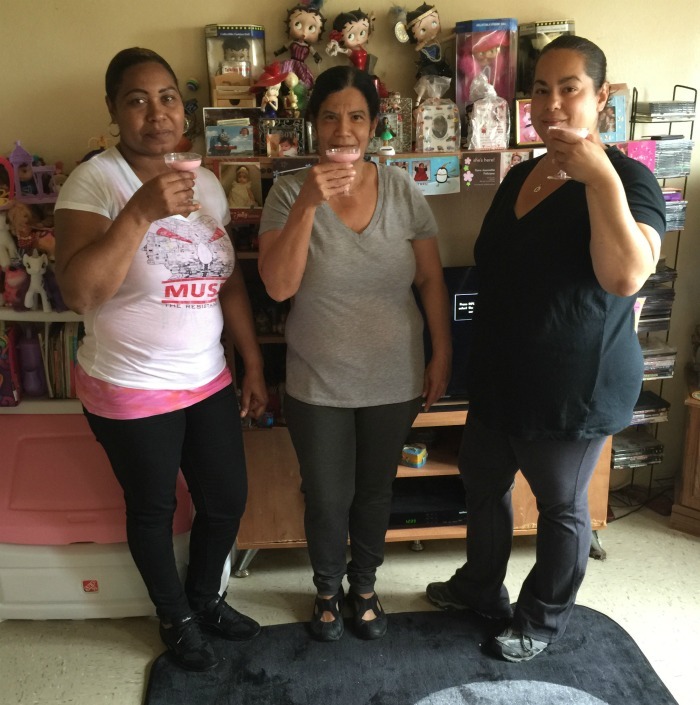 My mom is pretty shy when it comes to dancing so she will usually do it when it's just me and her at her house. My best friend wanted to try it too so I decided to have them all over my house to get an hour of Zumba in and then relax with some incredible smoothies, fresh fruit and a little goodie box. Since I knew my downstairs neighbors where out of town, I took the opportunity to hold the Zumba class in my home. I ]popped the Zumba DVD into my player and we danced away. We all sweated like crazy while still having fun. Here are my girls posing right before class for their before shot. We plan on doing it at least once a week and take after pictures in a few months. 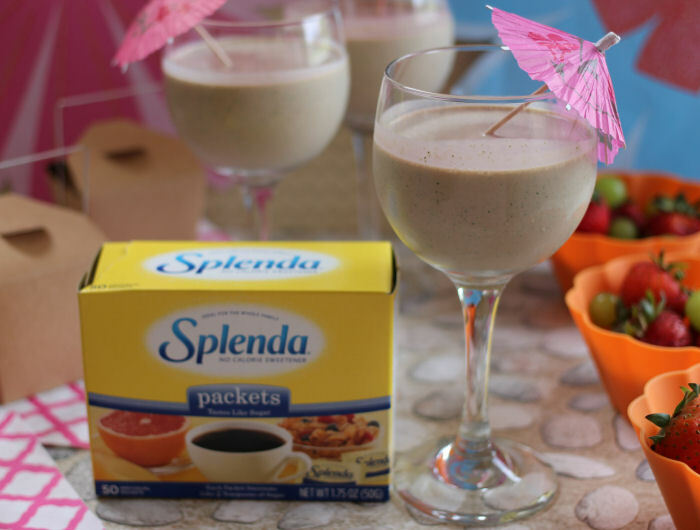 Since we didn't want to ruin all of the calories we burned while doing Zumba I decided to make some Sweet Swaps by replacing regular sugar with SPLENDA® in our smoothie. 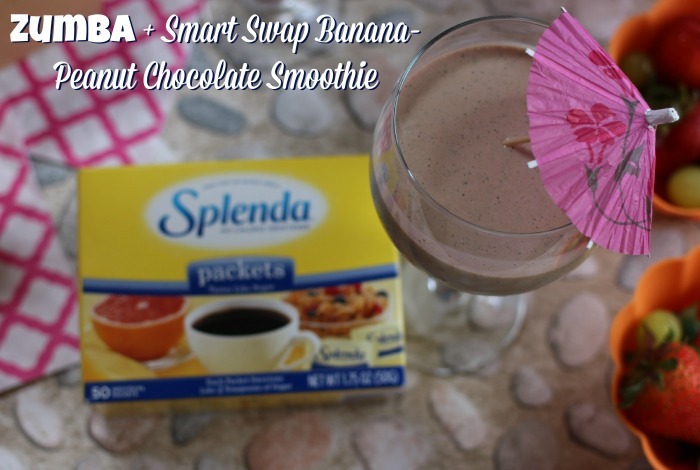 I went over to the Sweet Swaps website to find a smoothie recipe that we could all enjoy after a hard workout. I went with the Banana-Peanut Chocolate Smoothie to get the extra protein in from the peanut butter and the extra yumminess from the chocolate. 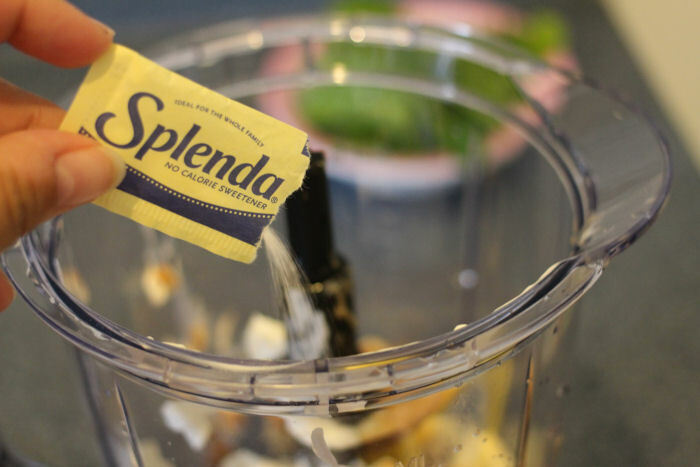 Just swapping SPLENDA® for regular sugar can save you tons of calories! 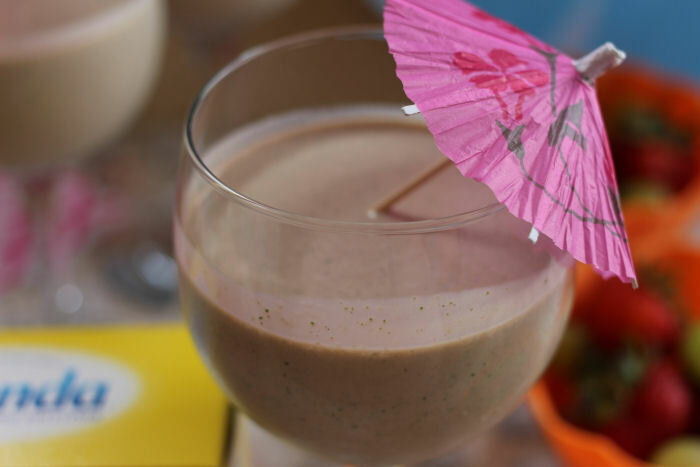 Click on the link to find the recipe for the Banana-Peanut Chocolate Smoothie Recipe. 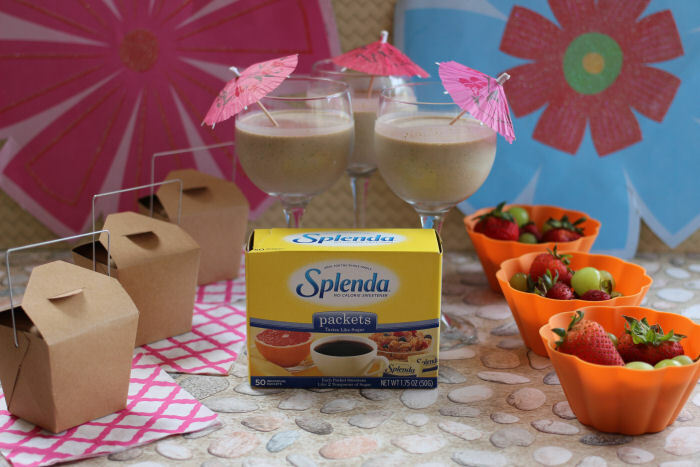 The SPLENDA® Brand is helping everybody to make smart choices by giving recipes ideas at the SweetSwaps.com website. 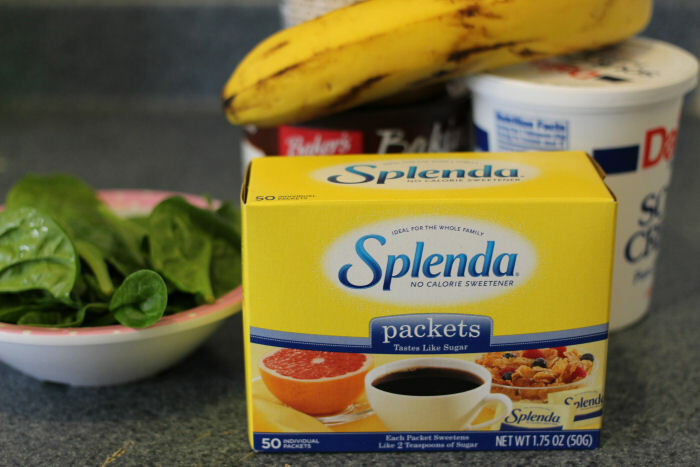 They want to give you great ideas, tips and tricks on swapping out full sugar for SPLENDA® Sweetener Products. 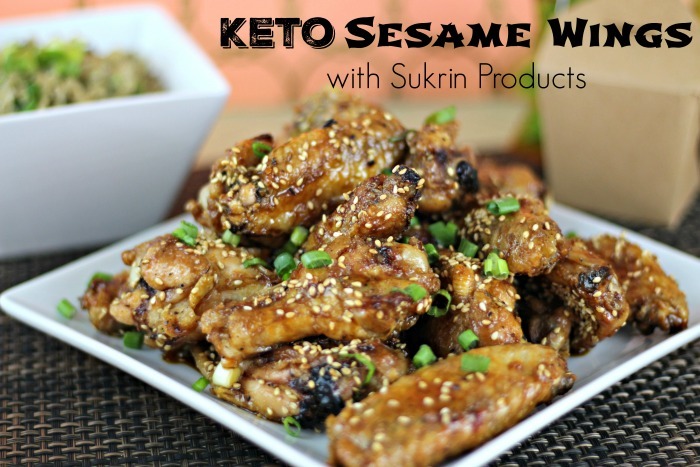 Head on over to the SweetSwaps.com website and tell me which recipe you would try. That sounds absolutely delicious. I can't wait to make this! This sounds really good! I have done Zumba for a long time and your right it is a lot of fun to do. This drink would motivate me to get myself moving again! This sounds delicious! I want one! My husband LOVES banana and smoothies. I bet he'd love this one. I think I would just love that drink. Bananas and peanut butter work so well together. The name is a mouthful but it looks and sounds delicious!